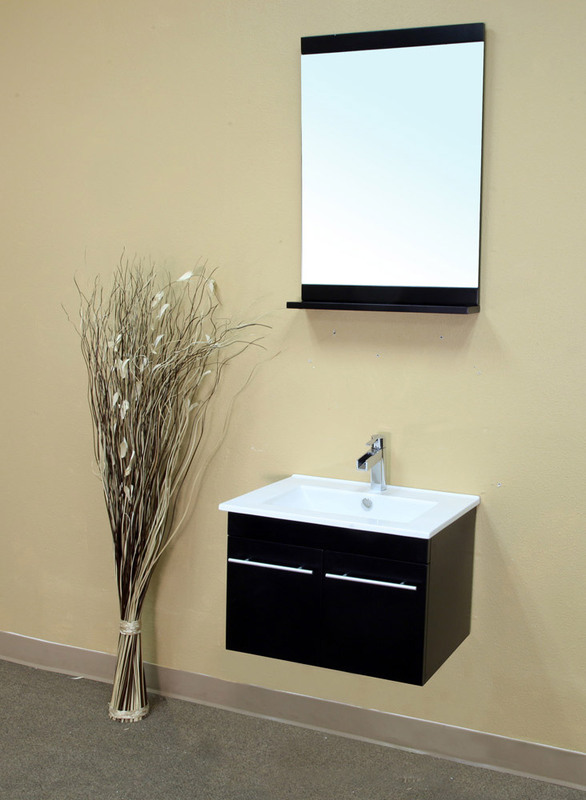 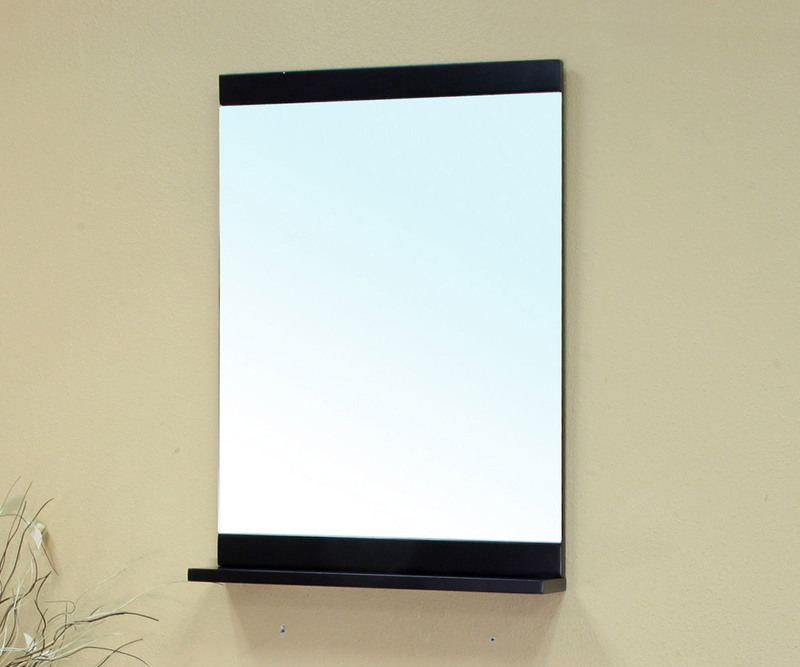 The Larissa Wall Mounted Vanity has a sleek and modern design with its small profile, clean lines and black finish. 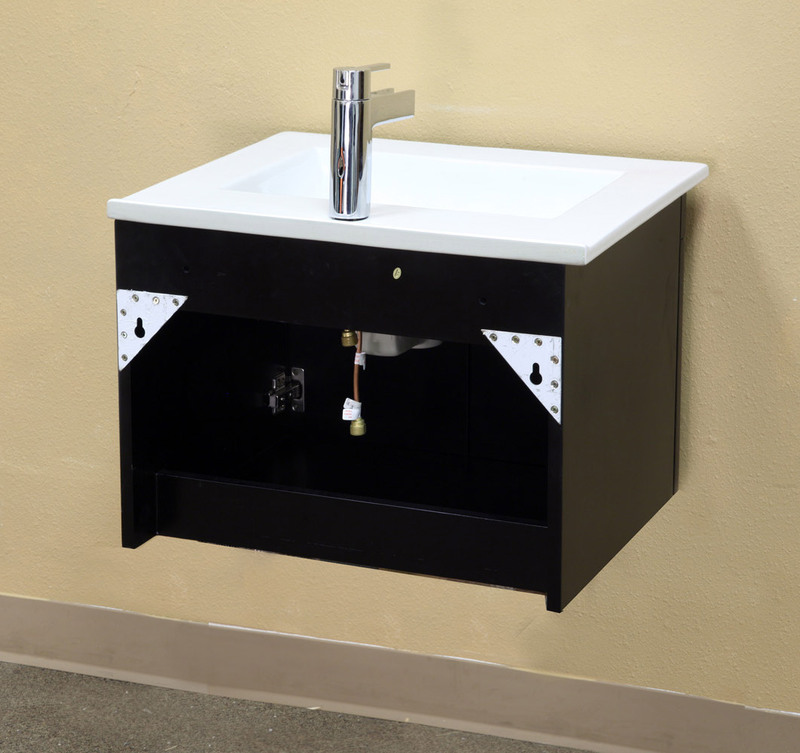 The vanity is topped with a white ceramic sink and has nickel finished hardware. 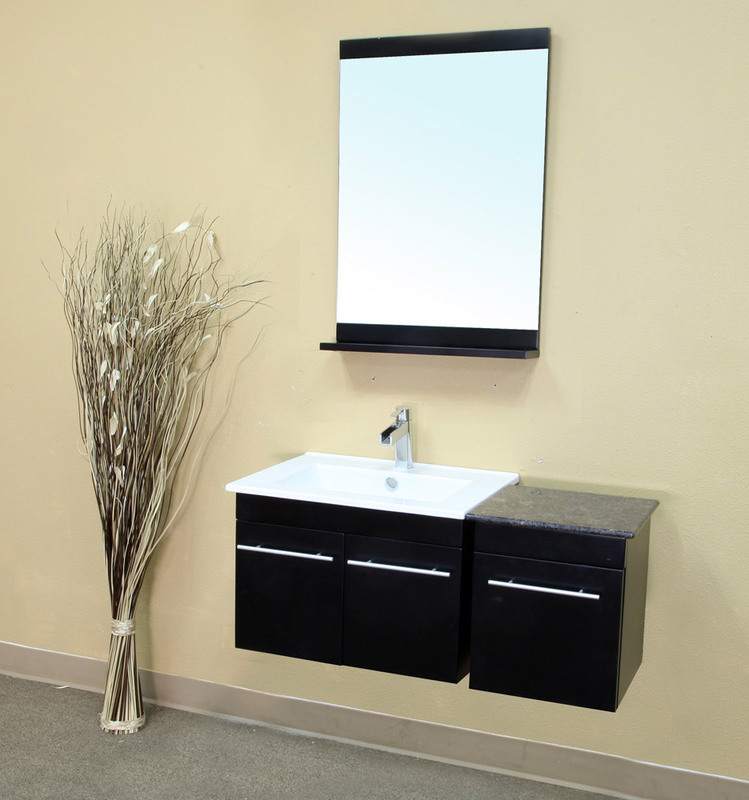 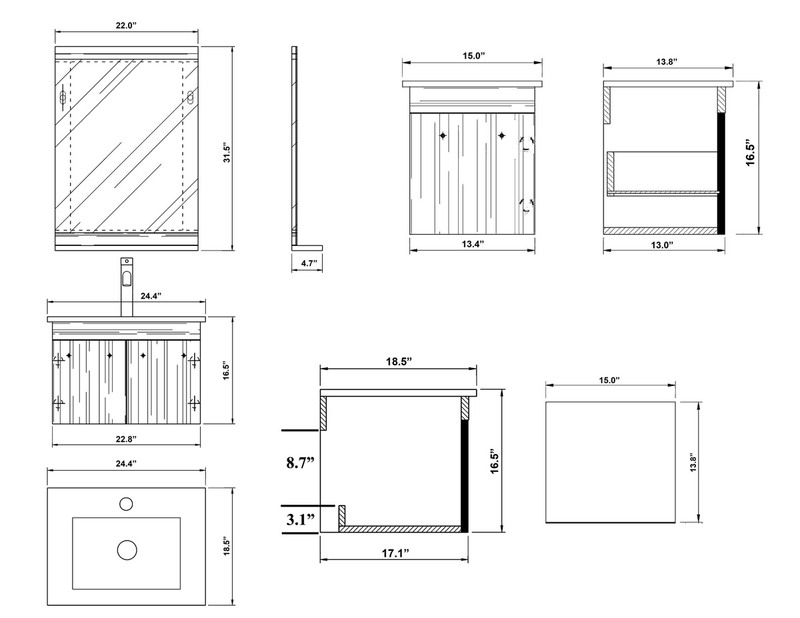 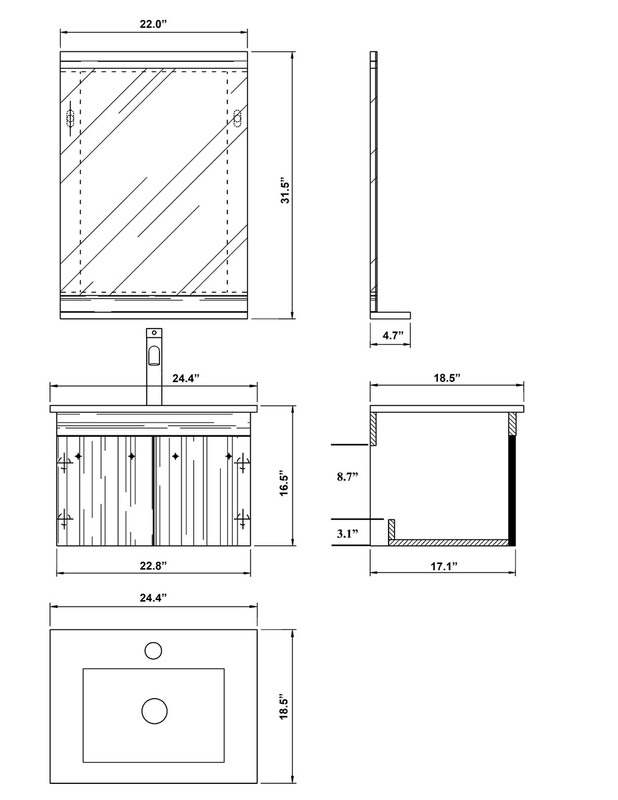 The double door cabinet conveniently provides storage for your bathroom supplies. 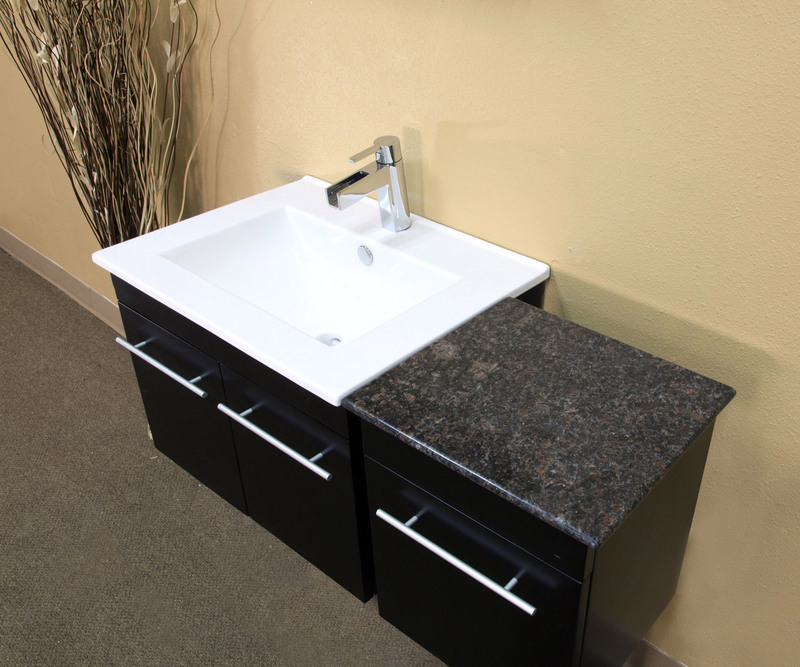 To expand your storage and counter space, an optional side cabinet with a granite top and drawer is available for this vanity. 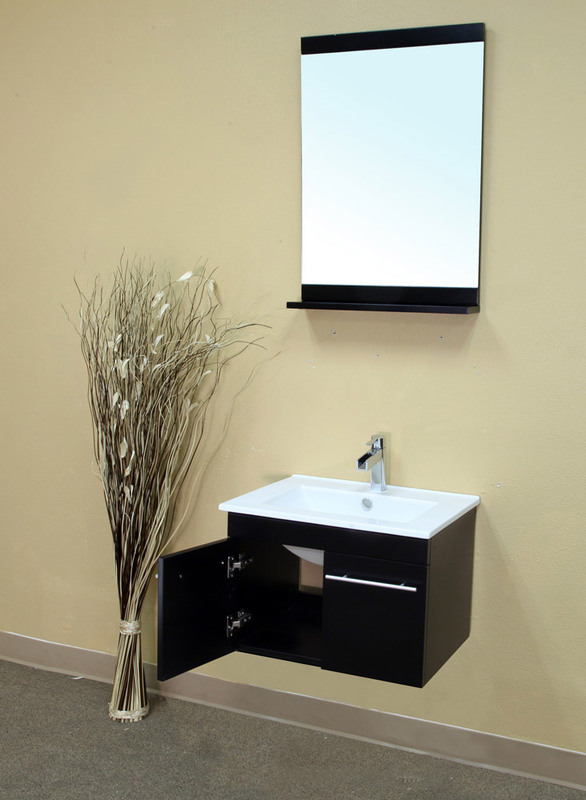 Both the vanity and the cabinet are constructed from solid birch wood and are protected against humidity by a water proof black finish. 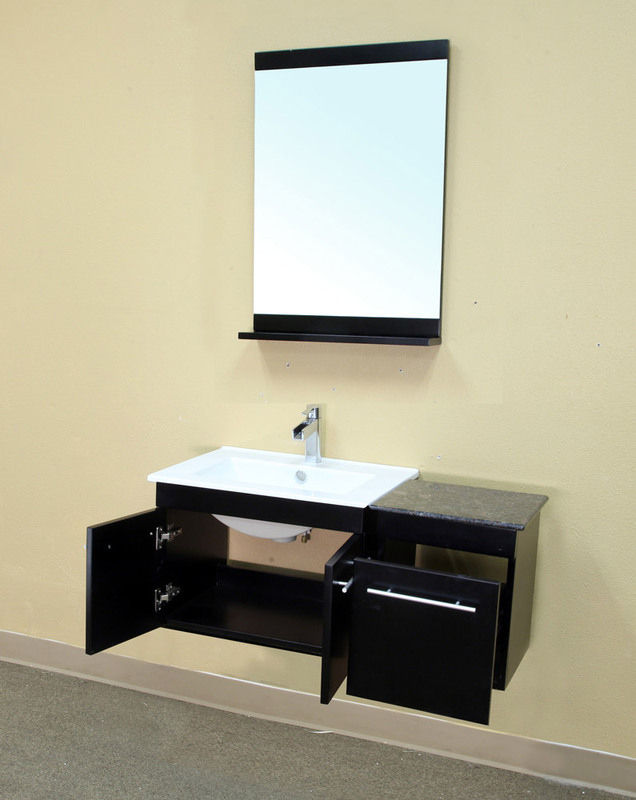 A matching mirror is also available for this vanity to complete your modern bathroom furnishing.